For those who have always wanted to write for the screen but had no idea where and how to start. Through weekly writing, reading and viewing assignments, students will learn about screenplay structure, character development, dialogue, log lines and treatment writing. The final project will be an original, self-contained, short screenplay (12 – 25 pages) which students will write and revise during the final third of the 10-week session. The “Screenwriting I” course offered at The Barrow Group served as a fantastic platform to jump-start my writing career. As someone who had no formal education or experience in the field, the class provided a very basic and intuitive structure to the art of screenwriting. 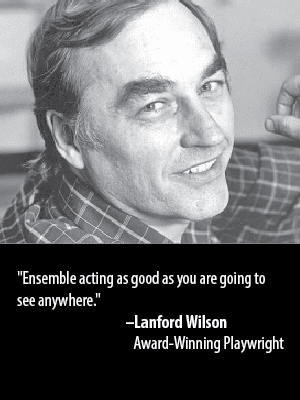 Once the fundamentals had been establish, the professor, Lorrel Manning, reinforced these concepts by having the class read various screenplays from well-known films. We also immediately put these new skills to use by writing our own scenes. As the weeks passed, the writing went from single scenes to multiple scenes to our very own short films. Lorrel provided direct and invigorating feedback along the way to ensure we kept our dialogue and scene construction focused. Although the class has ended, the ongoing assistance from colleagues and Lorrel has been indispensable as I journey through my new career. By the end of the eight week program, I not only learned how to write a screenplay, I wrote one myself. I also made invaluable contacts in the industry with the same interests and aspirations as myself that I intend on valuing for the years ahead. For those who have already taken Screenwriting I, workshop guides students through the process of creating a feature film script. By analyzing and breaking down various successful feature film scripts, students will learn the three-act structure and how to create a successful, fully-fleshed out protagonist and antagonist. Students will then be guided in creating a strong logline/pitch, developing a detailed outline and treatment, then writing the first act of their screenplay. Students will receive expert guidance on their writing along the way, along with helpful self-tests which will allow them to reinforce their mastery of the lecture content. Along with the weekly feedback session, students will also be given weekly reading and writing assignments.